Click here for more details (aussi disponible en français). This website, established in April 1996, is an unofficial and privately-maintained list of Frequently-Asked Questions (FAQ's) regarding CANDU reactors and nuclear power generation in Canada. It is designed to meet general as well as technical interest needs. The FAQ's and their answers are compiled by the author, and do not necessarily represent the official views of the International Atomic Energy Agency (IAEA), Atomic Energy of Canada Ltd. (AECL), Canadian Nuclear Laboratories (CNL), the Canadian Nuclear Society (CNS), nor any other component of the Canadian nuclear industry. The information given here is in the public domain. It is meant to complement the wealth of nuclear-related information already on the Web. For example, good introductions to nuclear power in general can be found in John McCarthy's Nuclear Energy FAQ or Joseph Gonyeau's Virtual Nuclear Tourist. Lawrence Berkeley National Lab's excellent ABCs of Nuclear Science and Particle Adventure websites summarize the physics of radioactive decay and subatomic particle theory. For an excellent overview of nuclear and other areas of physics governing our natural world (including some great science fair ideas), visit Georgia State University's "HyperPhysics" website. Other relevant links can be found in Section J: Further Information. Contributions (questions and/or answers) and comments are welcome. Please send to the author, Dr. Jeremy Whitlock, at jeremyjwhitlock@gmail.com. Text is copyrighted by Jeremy Whitlock, but can be quoted if properly credited to the author. Unless noted otherwise, images are from public literature published by AECL, Ontario Power Generation Inc. (formerly Ontario Hydro), and other members of the Canadian nuclear industry. Explanation of graphics on this page: The header graphic at top right shows symbolically a maple leaf superimposed over a CANDU containment building on the shore of a Canadian waterway (there are no cooling towers used with Canadian power reactors). This logo was used by the Annual Conference of the Canadian Nuclear Society (CNS) in 1990 and every year since 2002. The main graphic above depicts a beaver with the Canadian flag upon a CANDU fuel bundle – three symbols of Canadian industriousness and pride. The CANDU fuel bundle pictured weighs 23 kg, is about the size of a fire log, and produces enough electricity to power 100 average Canadian homes for a year. A CANDU reactor contains several thousands of similar-looking bundles. A.13 What is the "Advanced CANDU Reactor (ACR)?" B.1 Why did Canada develop its own, quite different, reactor design? B.2 How much nuclear electricity is produced in Canada? B.3 Where is nuclear power generated in Canada? B.4 How many CANDU reactors are there in the world? B.5 Is nuclear power being privatized in Canada? B.6 How are CANDU reactor exports financed? B.7 Who are the members of the Canadian nuclear industry? B.8 What was Canada's first nuclear power plant? B.9 Why were seven CANDU reactors shut down for refurbishment in 1998? B.10 How did Ontario's reactors respond to the August 14, 2003 blackout? B.11 What was Canada's first commercial-scale nuclear power plant? B.12 What is Canada's experience with nuclear fuel reprocessing? B.13 What is the Global Nuclear Energy Partnership (GNEP)? B.14 What other kinds of coolant have been tested with CANDU? C.1 How do the economic benefits of nuclear power compare to other sources in Canada? C.3 What are the environmental benefits of nuclear power in Canada? C.4 Why are CANDU units favourable for developing economies? C.5 How are CANDU reactors well-suited to a hydrogen-fuel economy? C.6 How are CANDU reactors well-suited to oil extraction from the "oil sands" of western Canada? C.7 Why was the cost of Ontario's Darlington plant so high? C.8 Who said that nuclear electricity would be "too cheap to meter"? C.9 How many recent CANDU plants have been built on time and budget? D.1 Why is the CANDU design one of the safest in the world? D.2 What are the CANDU safety systems? D.3 Why do CANDU reactors have a "positive void coefficient"? D.4 How do CANDU reactors meet high safety standards, despite having a "positive void coefficient"? D.5 Are CANDU reactors similar to the Chornobyl design? D.6 What are the observed health effects of the Chornobyl accident? D.7 How are Canadians insured against nuclear accidents? D.8 What are the details of the accident at Chalk River's NRX reactor in 1952? D.9 What are the details of the accident at Chalk River's NRU reactor in 1958? D.10 How does Ontario Power Generation manage tritium production in its CANDU moderators? D.11 How much radiation do nuclear plants expose the Canadian public to? D.12 How much tritium is released by CANDU plants? D.13 Do nuclear power reactors have a negative health impact in surrounding communities? D.14 Can radiation have beneficial health effects? D.15 How is nuclear technology regulated in Canada? D.16 Can nuclear reactors withstand earthquakes? D.17 Why was a Chalk River reactor shut down in November 2007, causing a shortage in medical radioisotopes? D.18 Why can't a reactor explode like an atomic bomb? D.19 What is the probable public health effect from the Fukushima nuclear accident? D.20 What impact did the Fukushima nuclear accident have on CANDU safety design? E.1 How is high-level nuclear waste managed in Canada? E.2 What does Nature tell us about nuclear waste disposal? E.3 How is low-level radioactive waste managed in Canada? G.1 How much uranium does Canada produce? G.2 How is uranium ore processed into CANDU fuel? G.3 In what minerals do uranium and thorium occur? G.4 How much longer will the world's uranium reserves last? H.1 How many research reactors are operating in Canada? H.2 What are neutron "beams" used for? H.3 What is MAPLE technology? H.4 What is the Canadian Neutron Centre (CNC)? H.5 What is the SLOWPOKE reactor? I.1 What is the "Nuclear Battery"? I.2 What is the Sudbury Neutrino Observatory (SNO)? I.3 What is Canada's role in nuclear medicine and isotope production? I.4 What is "Food Irradiation"? I.5 What is the status of fusion research in Canada? Join the ring? This Nuclear InfoRing site owned by Dr. Jeremy Whitlock. Dr. Jeremy Whitlock was raised in the Ottawa Valley, Canada's heartland for nuclear research and stepdancing. From 1994 to 2006 he worked for Atomic Energy of Canada Ltd. (later Canadian Nuclear Laboratories) as a reactor physicist, and from 2006 to 2016 as Manager of Non-Proliferation and Safeguards. He is currently a manager in the Department of Safeguards at the International Atomic Energy Agency in Vienna, Austria. He is a Fellow of the Canadian Nuclear Society (F.C.N.S. ), as well as a Past President and a member of the Board of Directors (he is also a past Board Member of the American Nuclear Society, ANS). Dr. Whitlock has a PhD in Engineering Physics from McMaster University (Hamilton, Ontario) with a specialty in CANDU reactor physics. His leisure interests include the Petawawa Legion Community Band, the Deep River Players, canoeing, cross-country skiing, geology and history. Dr. Whitlock is a public speaker and author on nuclear issues (including a regular column in the Bulletin of the Canadian Nuclear Society), as well as the art of effective public communication in science and technology. Since April 1996 he has maintained The Canadian Nuclear FAQ, a website of "Frequently-Asked Questions" (FAQs) on Canadian nuclear science and technology. In 1999 Dr. Whitlock received the Education and Communication Award from the Canadian Nuclear Society for his public communications work. 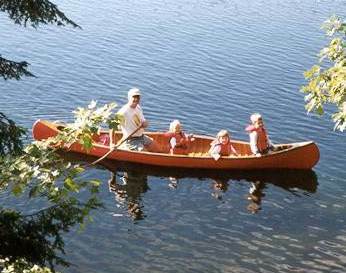 Dr. Whitlock feels that humans and nature can coexist in harmony when technology is used sustainably, and strongly suspects that canoes are the closest Mankind has come to inventing a perfect machine.